The world statistics states that approximately 1.0 – 1.2% of people experience bipolar disorder in their lifetime. Did you know? People who have bipolar can be very successful and creative. Want some proof? Some historians think that following people may have shown signs of bipolar disorder: Abraham Lincoln, Hans Christian Andersen, Theodore Roosevelt, Charles Dickens, Emily Dickinson, Sir Isaac Newton and Ludwig van Beethoven. If you are not introduced to the word bipolar disorder yet, let me give you a short introduction to it. 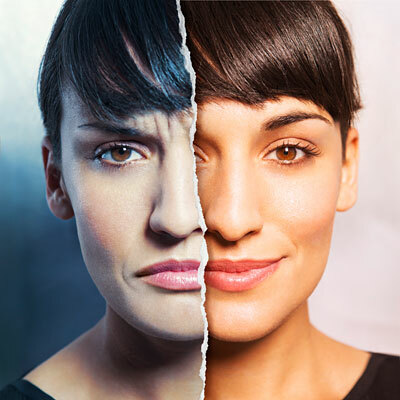 Bipolar Disorder is basically a mood disorder in which one experiences profound mood swings. It is called Bipolar as it oscillates between to poles of moods i.e Mania and Depression. The other names of bipolar disorder are Bipolar Affective Disorder, Manic Depressive Disorder or Manic – Depression. Bipolar I Disorder: It comprises of rapid cycling episodes between mania and depression. Bipolar II Disorder: In this type of bipolar depression is the primary symptom with mild episodes of mania. Bipolar III Disorder: This is characterized by major manic episodes with mild depression in between. Unstable relationships, engages more in pleasurable activities Tries to escape from social settings, lives more in isolation. So these were some of the major differences between Mania and Depression. They also constitute the symptoms of Bipolar as well. The causes of bipolar can vary from genetic linkage, environmental factors, psychological factors, and evolutionary causes too. If you suspect bipolar disorder in someone, the best way is to direct him or her towards immediate treatment. The early it is diagnosed and treated, the better is its prognosis. Other therapies like Group therapy, Support therapy, Milieu therapy, Light therapy and so on.